Remember the lawsuits against EA and its executives over Battlefield 4? The securities fraud suit that appeared last year has been dismissed by a Federal judge. 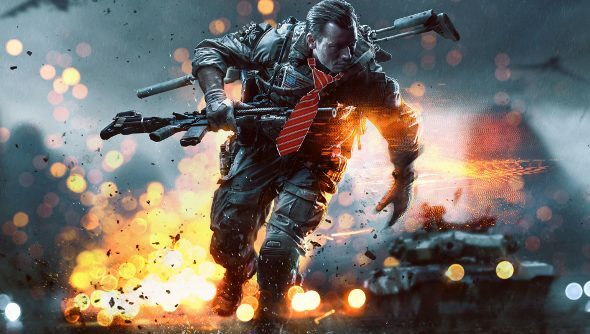 The suit claimed that EA’s top brass knew about all the problems with Battlefield 4 and then lied to investors by making public statements espousing the quality of the game. The judge disagreed. “The Court agrees with defendants that all of the purported misstatements are inactionable statements of opinion, corporate optimism, or puffery,” Judge Susan Illston said. Puffery, as the law sees it, is just a subjective claim. If it’s to puff up or promote something, and no reasonable person would take it literally, then that’s puffery. I see the judge’s point. People shouldn’t have expected Battlefield 4 to work. It was just puffery. “I think that we have reached a level of quality at launch that we didn’t get to last time, and our teams are already starting to think about investment in new innovation for the future.” That’s from Andrew Wilson. “We created two technology paths [Frostbite and Ignite] and invested early. . . . [W]e wanted to de-risk the technology piece as much as possible. That was the key learning. . . . I was not going to repeat that mistake. . . . Frostbite has been the core difference. When you have a proven technology base with tools that work. . . it makes for efficient and low-risk development.” This one’s from Frank Gibeau. “So from the standpoint of picking the wrong platforms, I think we did a good job there but we’ve mismanaged the technology. That’s not happening this time around.” And that would be Peter Moore.